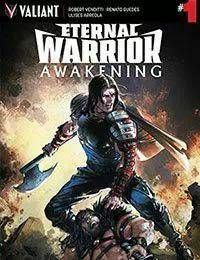 It is a time before civilization…On the brink of carving out victory in the most violent battle of his life, Gilad Anni-Padda suffers a devastating injury. He awakens weeks later in a strange land, nursed back to health but with no memory of his past. A tribe has shown him compassion in an age of cruelty, and he will return their gift in kind. Now the real violence will begin…New York Times best-selling writer Robert Venditti (Hal Jordan &amp; The Green Lantern Corps.) and acclaimed artist Renato Guedes (Bloodshot Reborn) lead a celebration of the Eternal Warrior's 25th anniversary here with the second of four standalone specials honoring the most famous Valiant tales ever told!